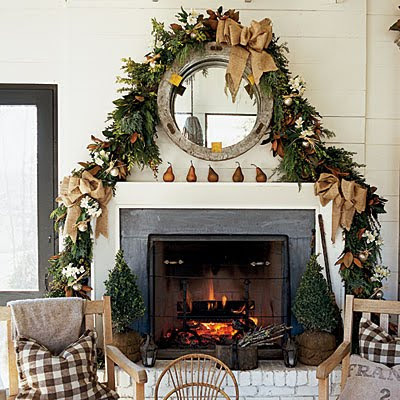 There's nothing better than a warm crackling fire on a cold winter's night. 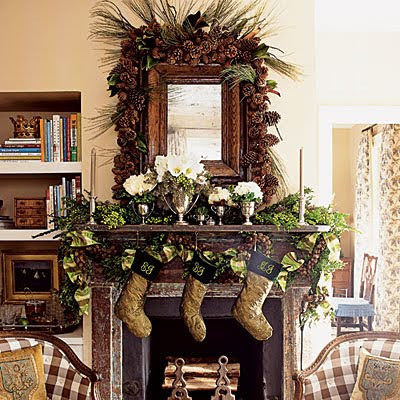 I thought you might enjoy these photos for ideas to decorate your mantels for the holidays. I'll have to let you know which one I'll do this year. I guess I'd better do it soon! 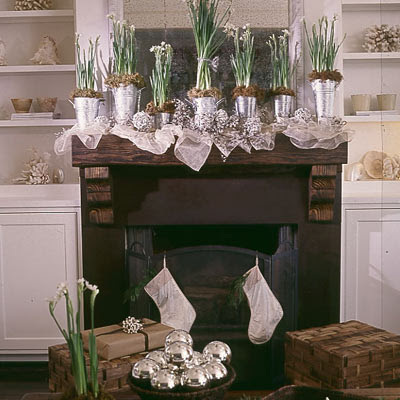 Maybe tomorrow I'll start pulling out all those boxes of decorations and get going. Wish me luck!! Bonjour Gail! 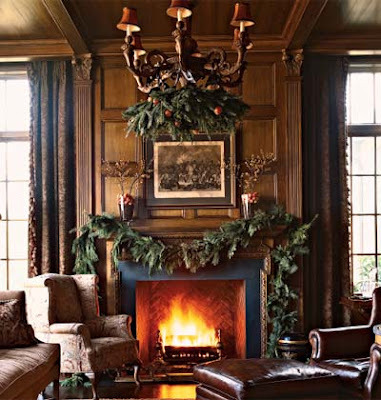 Yes there is nothing better than a roaring fire on a cold winter's night. 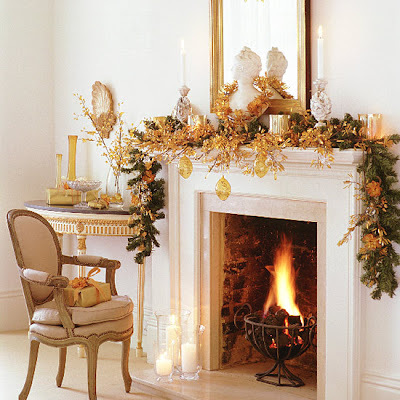 Your decor for last year looks so pretty, looking forward to seeing what you decide this year. 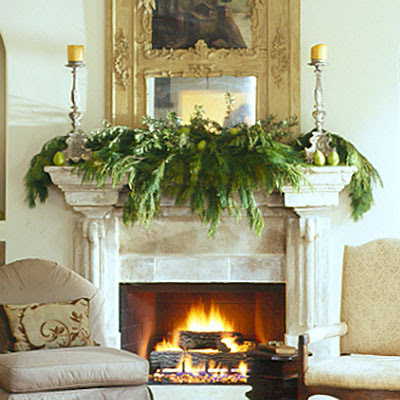 The pictures of Christmas fireplace mantles look so pretty! 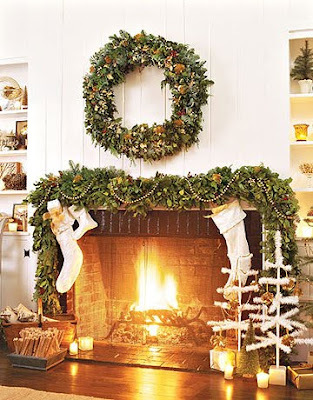 It's finally cold enough here in LA for a fire like these! 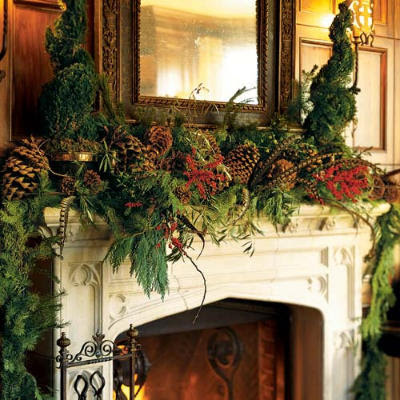 I'm sure your Christmas mantle will look spectacular! I can't wait to see it!